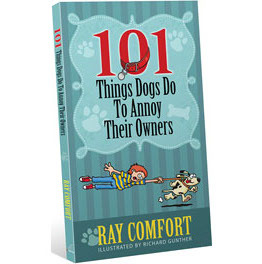 120 pages, softcover, full-color illustrations. *This humorous book makes for a wonderful gift to give to someone who doesn’t know the Lord as it also contains a complete gospel message. Dogs don’t eat as much as kids, don’t ask for money, are easier to train, and usually come when you call them. They don’t need a fortune for college, and if they get pregnant, you can sell their offspring. If you are lonely or lack self-esteem, get a dog. Dogs are always pleased to see you, want to be by your side, and stare at you for no reason. That’s love. They’re loyal, friendly, forgiving, and make you laugh. They protect your family and your property, want to go for walks and play, and never gossip about you. Who could want a better friend?